Dan + Shay star Shay Mooney got married last fall and the incredible wedding video has recently been made public! Watch the video here. The Shay Mooney Wedding was spectacular and was captured in the “Speechless” music video. 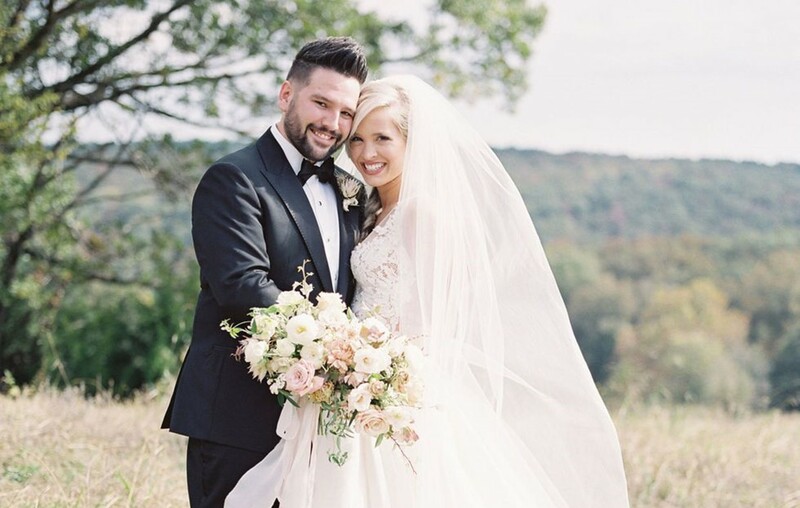 Shay Mooney and Hannah Billingsley‘s wedding video will take your breath away! The pair wed last October and based on this video— true love really does exist. Grab some tissues because you’re going to need them while viewing the official footage from their special day! Watching this video it is so easy to understand why they were so eager to get their hands on the film. Shay and Hannah (also known as former Miss Arkansas 2013) were married in their homestate of Arkansas. The wedding took place on Mooney’s family farm featuring breathtaking scenery as well as the astonishing Ozark Mountains in the background. The video is stunning, leaving his fans in tears of joy for the happy couple. The video also includes plenty of personal details, making the footage extra-special. The film spotlights the bride and groom laying eyes on each other for the first time, the bride strolling through a meadow with her father ready to give her away to the groom, and even features plenty of shots of their young son Asher—who also was dressed formally, and dare I say adorably, for the special event- spreading smiles throughout the film. The video also shows excerpts of the taking of vows and the reception that followed after. Dan Smyers, the other half of Dan + Shay, and guitarist Justin Richards were Mooney’s groomsmen at the ceremony. Mooney got a little choked up when he performed an original song for his new bride at the reception. After an incredible wedding, the couple continued on to go on an equally incredibly honeymoon in Mexico that they shared with a couple of affectionate dolphins (featured in photo below)! Thankfully it did not take them as long to share photos of their honeymoon as it did to see the wedding footage! Make sure to share this with other Dan + Shay fans!